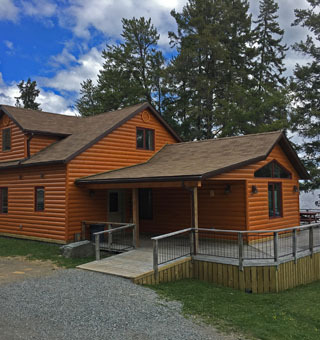 Tomahawk Resort has two bedroom, three bedroom and five bedroom cottages to accommodate groups of all sizes in comfortable, worry-free surroundings. Enjoy modern conveniences, like fully equipped kitchens, satellite television, fireplaces, air conditioning, free wireless Internet, and electric heat with individual thermostats in each bedroom. 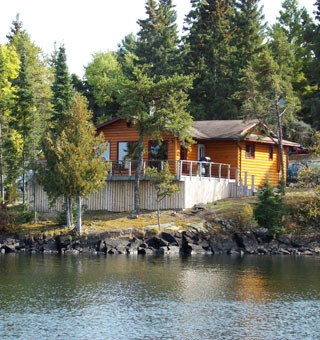 There's complete marina services and a soft sand beach on site, and shopping and attractions just a short drive away; and the fishing is some of the best you'll find! 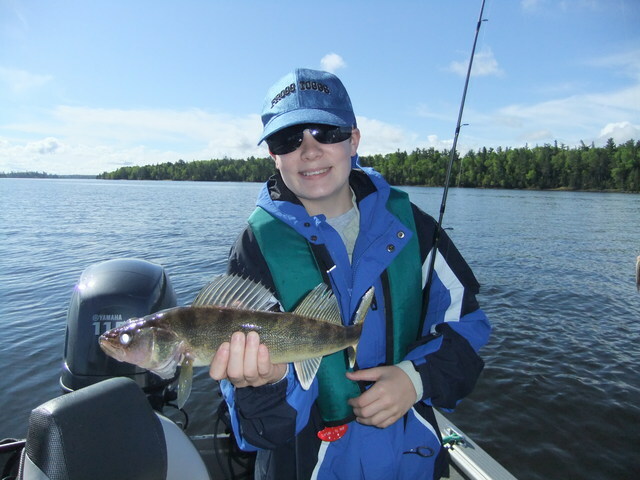 Lake of the Woods has provided some of the best fishing grounds in the world for decades and is renowned as a sport fisherman's paradise. 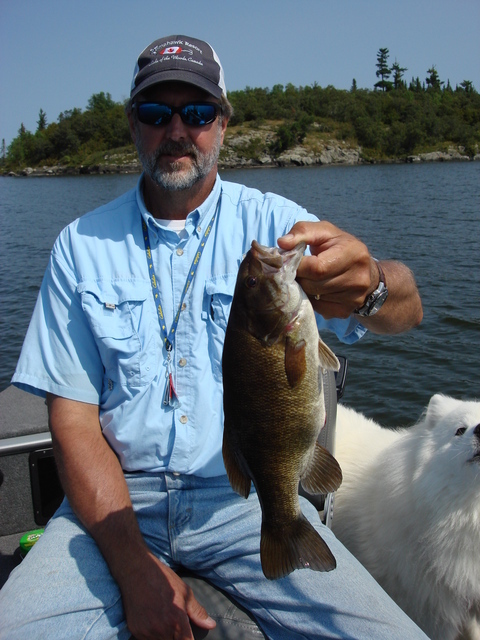 Test your angling skill on Walleye, Pike, Bass, Muskie, Lake Trout and, Crappie. 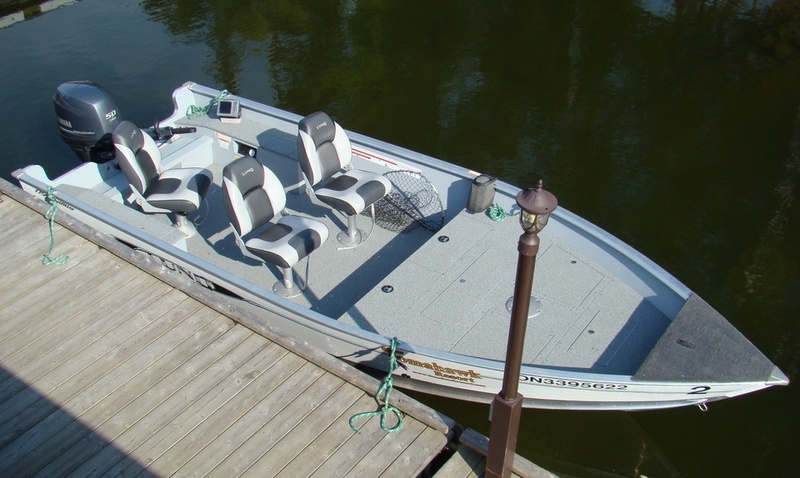 Complete fishing packages, including fully equipped fishing boats are available, or bring your own boat and we'll tell you where the hot spots are! 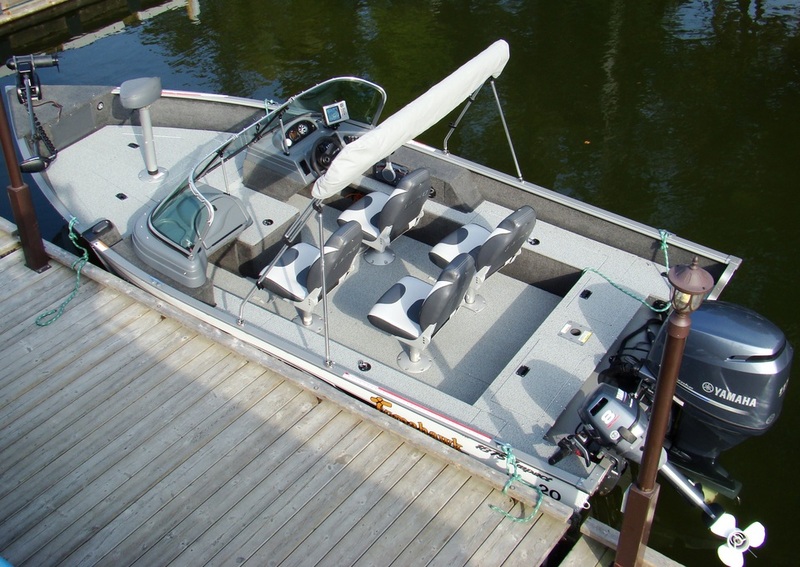 We're equipped to handle all of your fishing and boating needs. Our marina attendant is on duty all day to assist you with reading navigational charts, types of tackle to use and to supply you with all your fishing needs: lake charts, licenses, gas, bait, ice, fish processing & freezing and guide services. 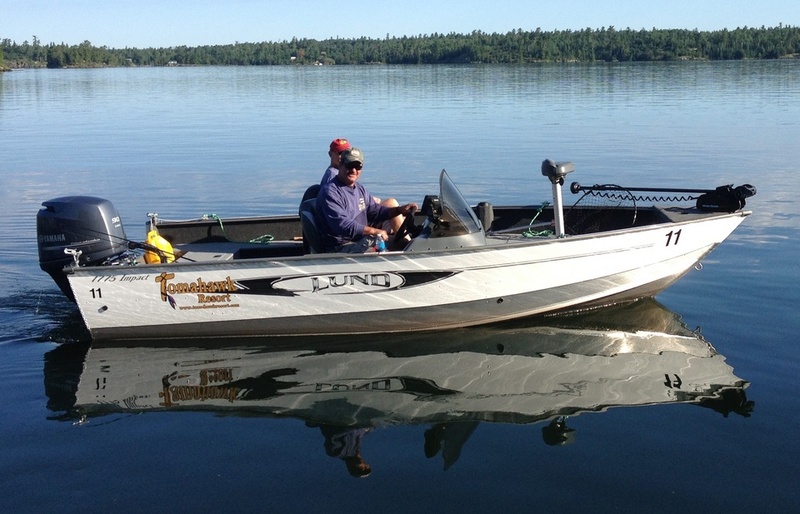 Our deluxe fully rigged 17 foot, 18 foot and 19 foot Lund fishing boats and 23 foot pontoon boat are the best rental outfits on the water and are powered by the most reliable motors on the market, Yamaha four-stroke outboards, purchased new every year to make your day on the water worry free. 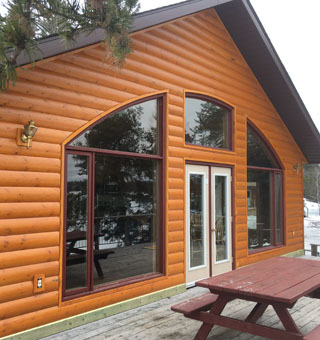 We know that great equipment is a pleasure to use and an important part of making your experience on Lake of the Woods a memorable one. 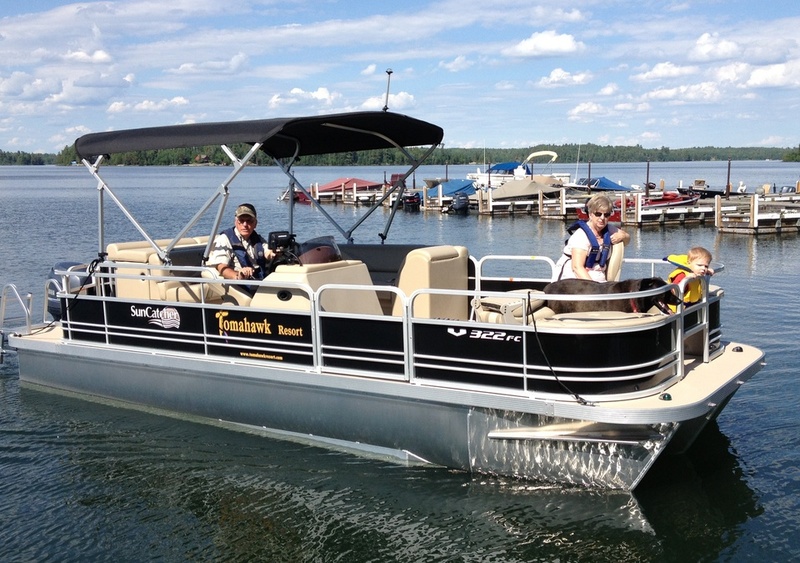 If you bring your own boat, we'll assign you a private dock slip with electrical hook-up. 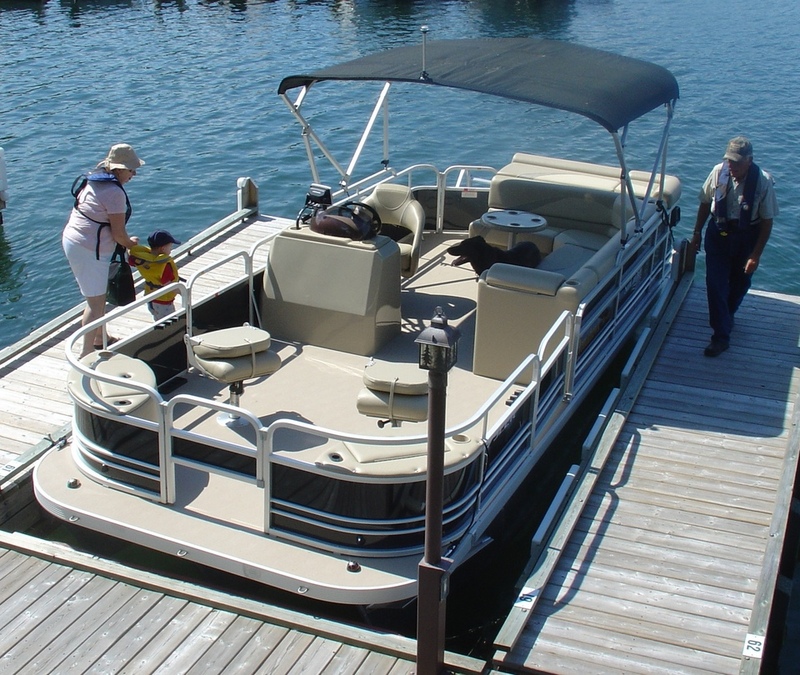 We have finger type floating docks with individual slips and plastic bumpers to protect your boat. You can board and unload with ease. 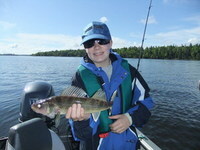 Lake of the Woods is a natural wonder, with more than 14,500 islands and 65,000 miles of shoreline. Besides fantastic fishing, you can enjoy canoeing, hiking, sailing, water sports and photography. 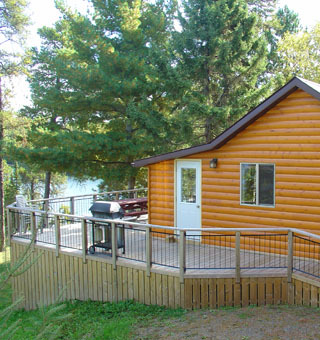 You can spend hours on the lake exploring the rugged beauty of the Canadian Shield. 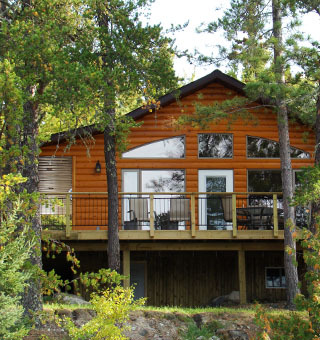 At Tomahawk Resort, the water is clean and crystal clear. The sand beach is separated from the marina by a point of land, so you can swim and sunbathe in a private cove away from the marina activity. Explore the shoreline in a peddle boat or canoe. 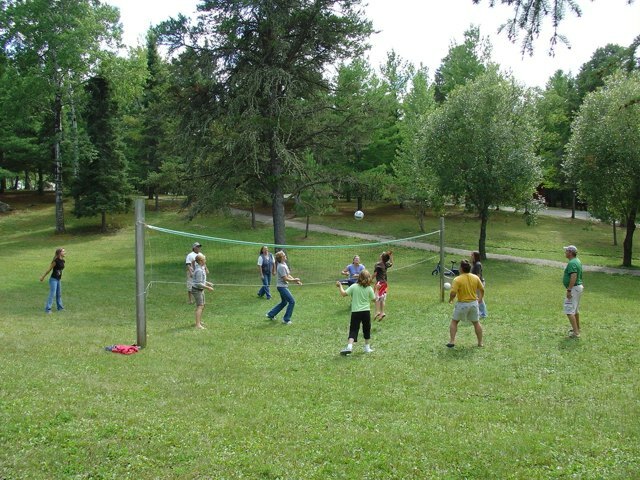 About an hour's drive to the North is the full-service community of Kenora. 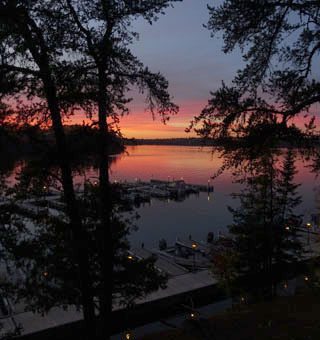 This small lakeside city has an excellent museum, historic murals, a library, waterfront parks, shopping, dining, golf courses and driving ranges. The city also offers a full service airport and district hospital.